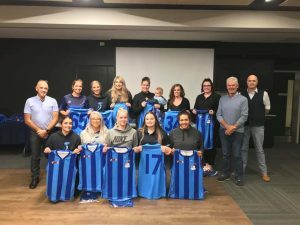 The season launch went down last Friday night with the club rooms filled with many excited players and supporters eager for the 2019 NWFL season to kick off! 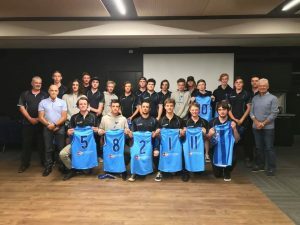 Penguin Football Club Legends and Life Members, Chris Fielding and Wayne Manson were on hand to present guernseys to all players and pump them up with some very inspirational speeches! 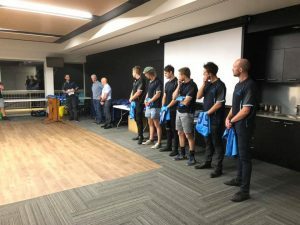 Captains were announced for our senior men’s and senior women’s teams. 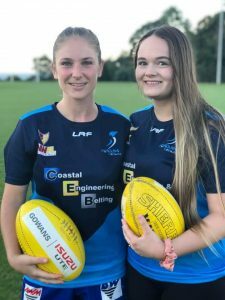 Bethany Taylor will Captain the women’s team, with Chloe Lynch taking the position of Vice! 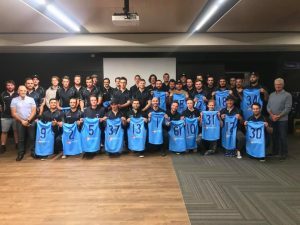 Jack Templeton and Jake Wray-McCann will Co Captain the Senior Team with the Leadership group consisting of Toby Skene, Sam Mawer, Randall Hardy & Brad Kelly providing some high class and professional backup to their captains and the team!